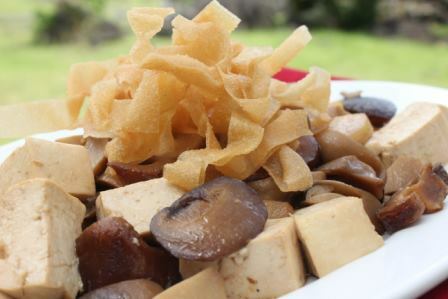 Stir Fried Tofu and Mushroom Recipe with Jomel Macinas - An easy to make recipe for stir-fried tofu with mushrooms and bamboo shoots and savory oyster sauce. 1 In small bowl, mix together sauce ingredients and set aside. 2 Heat oil in wok and add bamboo shoots and mushrooms and stir until heated through. Add tofu and season with AJI GINISA ORIGINAL. 3 Pour sauce ingredients and add tofu. Stir-fry until ingredients are heated through. Serve hot. Nice Blog! I will try to cook this later for our dinner. I am sure my kids will enjoy eating. I wish I can cook it perfectly. Thank you for sharing.